First grooming of the new year! 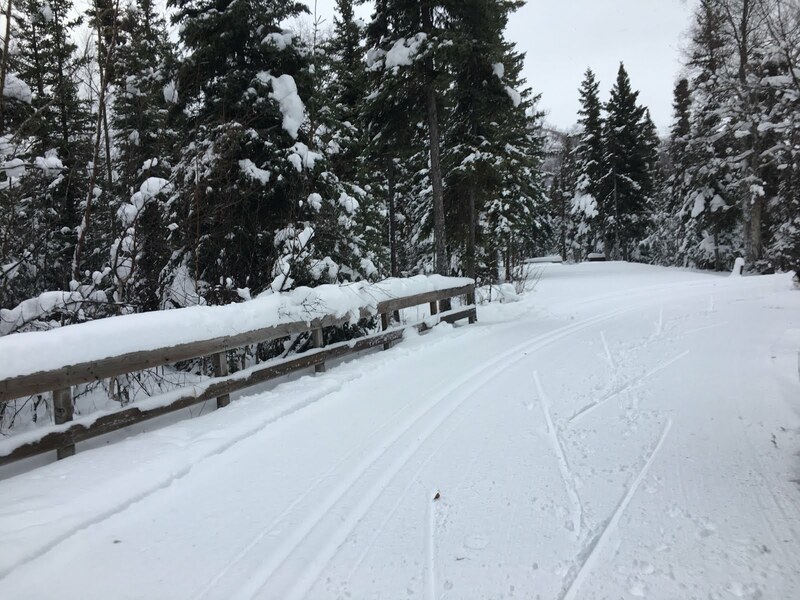 All trails have been grooming for skate and classical skiing. Great conditions and fast. Bundle up as it was 7 degrees this afternoon. If you are walkers or snow shoers, please walk on one side or the other of the trail. Lots of walkers going up the trail to the cut-off to the trailhead to the cabin. Thanks!! 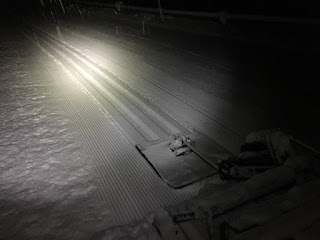 1-2" fresh on the new groom and 35 degrees. Enjoy it while it lasts! The Russian River Campground road and all loops have been rolled, widened, and groomed. Tracks are set from the gate to Grayling and in Red Salmon loop. It is 20 degrees with light snow now. 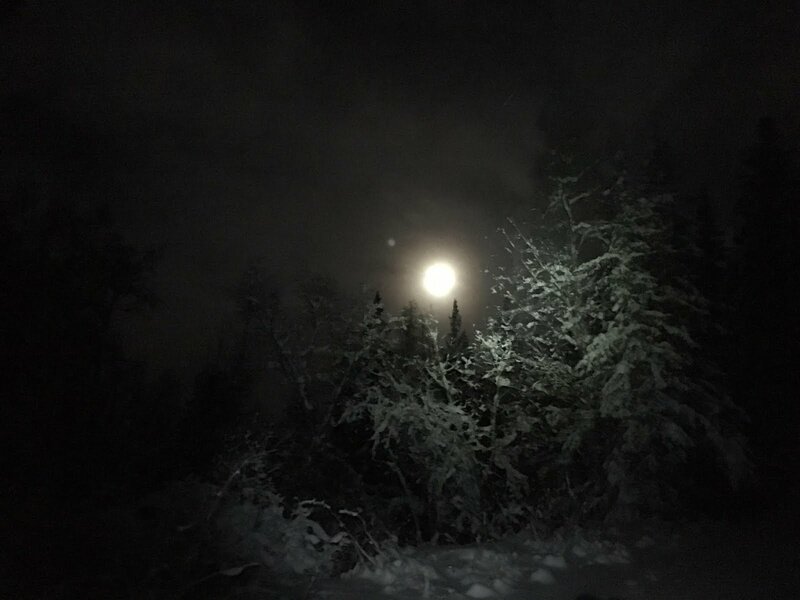 If temps stay cool overnight, look for fast fun skating and track skiing in the morning. Russian River Trails recently packed!!!! The Russian River Trails have been rolled and packed today!!! Great for classical and a little soft yet for skate skiing. Enjoy our snow!!! 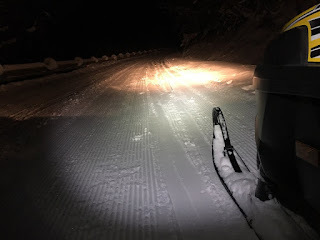 All loops at Russian River CG were groomed last night and should be great for skate skiing today. The road in from the highway has been plowed also. All Rusian River trails have been rolled! Re-rolled all the Russian River Campground loops yesterday. 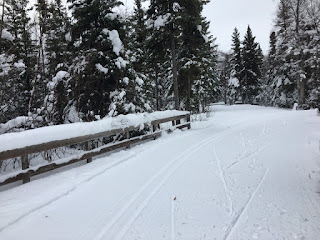 Trails are a little soft yet, but should be great for classical skiing. No track has been set. 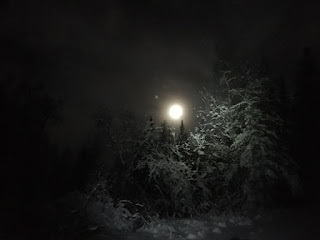 Hopefully we'll be able to get the groomer out this week and pack and smooth the trails down some more for skate skiing. The road into the Russian River Campground entrance is rough, 4-wheel drive is needed. Hopefully our local road crews will plow the entrance out this week. A few more inches of snow fell last nite. Enjoy the Holiday Season outside and skiing!!! !